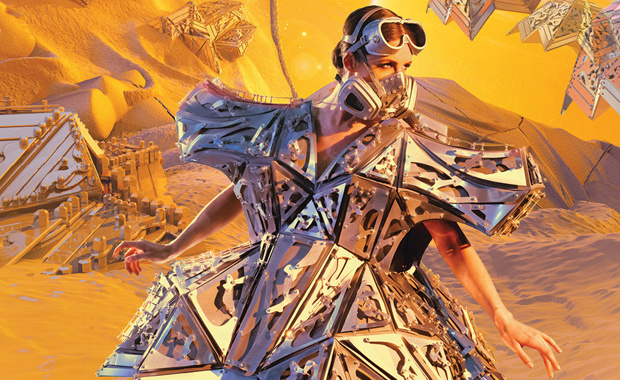 Now in their 31st year, the World of WearableArt (WOW) Awards have opened for submissions for 2019 to designers, artists and makers from all parts of the world. Participants are invited to create the unimaginable, ignore the conventional, and defy creative expectations as they make works of art that will be brought to life on a global stage at the annual World of WearableArt Awards Show. Anything that is wearable art can find a place on the stage, as long as it is original, innovative and well executed. For participants, WOW offers prize money, profile and promotion, networking opportunities, and access to exclusive internships and residencies. Aotearoa — New Zealand has its own deep sense of place. Draw on that to celebrate who we are as peoples and what makes us proud. From our rich cultures and history to our landscapes, our independence to our inventions. Show us New Zealand and New Zealanders as you see us. Avant-garde — A world that is experimental, radical and unorthodox; a rebellion against the norm. Dare to defy the boundaries of fashion and create a work that is cutting-edge, rejecting the ordinary and nurturing originality. Open — A world with no thematic boundaries giving you complete freedom to explore and create your own design. The only limit is your imagination. Mythology — Be inspired by other worlds and dimensions; explore fantastical stories of fearsome monsters and creatures, gods and goddesses, demigods and supernatural humans. Gather your inspiration from a vast treasure trove of tales. Dark and mysterious; exuberant and outlandish; ethereal and dreamy. Transform — Create a work that changes in form, nature and appearance. Play and innovate with different mechanisms for revealing unexpected aspects of your garment. The transformation could be playful and humourous, or it may be striking and startling. Show us an extraordinary metamorphosis. White — Representing a spectrum of emotions, white is associated with peace, light, love, perfection, purity and spirituality. In some parts of the world, white represents death and mourning; in others it is associated with angels, good health and time. What does white conjure up in your imagination? Inspiration may be found in sheer simplicity, sculptural boldness, intricate detail or experimenting with layers, light and shadow, proportion or scale. There are no shades of pure white because the colour is the combination of all colours. WOW showcases the best creations in a spectacular show that takes over New Zealand’s vibrant capital city of Wellington in an explosion of creativity. This year 60,000 people will see the show. World of WearableArt (WOW) attracts entries from over 40 countries each year.